“Spoken presence” means that you can take your smart phone and set an activity (busy, vacation, meeting, lunch etc.) and time (when you are back). This information will be replicated to the voicemail, so when your number is called, the caller will get a spoken message when the person is back again. This is useful because you then always know what the person is doing and when he or she will be back again. This info is nice to have in a business context. This script was tested with the Opticaller Client inputs but could be used without Opticaller also. Its only needed to send the right DTMF inputs. 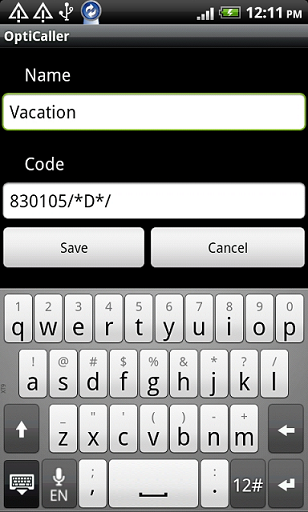 The Opticaller GSM client permits us to set the presence status using a defined softkey. Additionally it can send a DTMF value to the PBX, containing a time or date, selected from the Opticaller GSM client. This function should change the user presence status and note at the innovaphone PBX. Additionally it provides a voice prompt to people that try to reach this user afterwards, giving the time/date when he will be available and optionally(if configured) transfer the caller to a voicemail box. Note: This script could be used even without the Opticaller Client, the user only needs to call the spokenpresence VM object and dial the DTMF code manually. The feature is based on a XML script, typically installed on the Compact Flash card of a device. Of course it will work also on external Webserver server. Connect the CF as a network drive using the normal explorer option. Make a new directory in your CF (ie. spokenpresence). Copy all XML files and the sound files (Download)in this directory. Now create a new voicemail object (ie. Vm_SpokenPresence) in your PBX and assign this object a number (i.e. 830). This number will be the access code for the innovaphone Spoken Presence (the number to set the presence status and define the VoicePrompts). Insert the path of your previously created directory and the name of the XML File in the Script URL (spoken_presence.XML). In the example the created directory is spokenpresence (like the XML file name). Next, we need to create a second voicemail object (ie. Vm_SpokenPrompts) and give it a number (i.e. 831). This object is the CFU destination of the first script in case that presence is set. 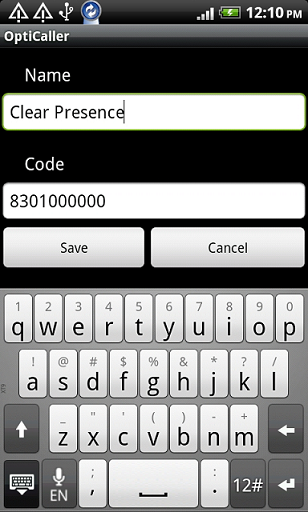 It provides the presence status voice prompts and additionally can transfer the call to a voicemail box. Insert the path of your previously created directory and the name of the XML file in the Script URL (spoken_prompts.XML). $vmnumber - Here we insert as value the innovaphone voicemail object number(change the 0). $vmredirect - Here we insert as value the name of a Dummy User Object we should create (change the vm_spoken_vmredirect). To use this manually we must call the Spoken VM object. The call will be connected in silence and then the user should dial the DTMF code to set the presence type, plus the time/date info. In total it will be a 7 digit code. 101 Set Away state, 19:00 will be the time. Note/Voice Prompt: I'm away until 19:00. To clear presence should be 100XXXX (X any digit, ie: 1000000). Note: We can create more codes with new activities easily. Edit the VoicePrompts and notes. When calling to the spoken_presence.xml VM object, it's important to send 7 digits. The call will be not disconnected until 7 digits have been dialled. When setting the presence status, the call must come from the same User as the one where the presence is changed. For example if we call using Opticaller we are using mobility to reach the VM object number. This way the caller name it's the PBX user we want to set the presence status. When setting the date on the Opticaller client, it asks the user to insert the year but that value it's not send by DTMF to the PBX. As a result, that value will be not set on the presence status. Opticaller should do a small fix to send the year too by DTMF. When setting the Redirection to the innovaphone Voicemail box and the called user doesn't have VM box, the caller receives a voice message saying that. However the call it's not disconnected, but the calling user must disconnect the call manually. http://download.innovaphone.com/ice/wiki-src#spokepre - download the complete file package of scripts and files described in this article. This page was last modified 15:27, 20 November 2012.